For more information on how to reach our head office please view the map below. (i) KTM Kommuter, (ii) LRT, (iii) car and (iv) taxi. Follow the signage to UOA Business Park. Walk across the link bridge (above federal highway) from the KTM/LRT interchange station to UOA Business Park, Glenmarie. At the end of the bridge, walk towards the right alley. Walk straight ahead and take a right turn to enter Canon Tower Lobby. Take the escalator down to lower ground floor. Exit the turnstile and take the left exit. 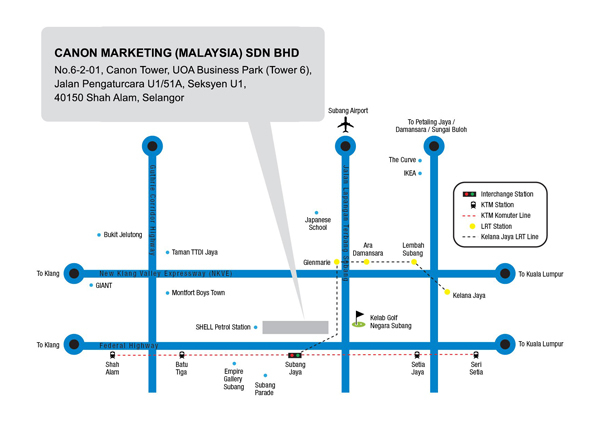 Take exit at Petronas Temasya Federal Highway to UOA Business Park, Glenmarie. Drive pass Shell petrol station, take 12 o'clock the mini round about. Subsequently collect a parking ticket, drive pass the barricade to enter the UOA Business Park. Drive straight to the end of block until you see another mini roundabout. Take first left into the car park. Proceed either to G or B1 for visitors' carpark. Park your car nearby painted pillar 'Tower 5 & 6'. Walk to the lift lobby and proceed to Level 1. Exit the lift and take left and then right. Canon Tower Lobby (Reception) is at your right hand side. Continue onto Jalan Lapangan Terbang Subang/Route 15. 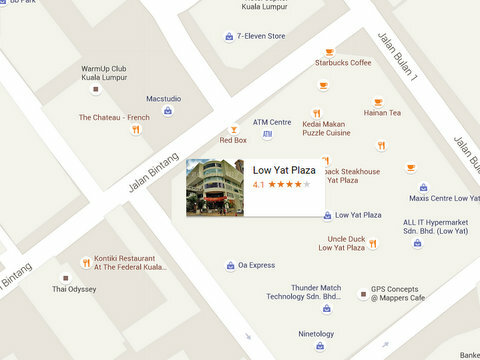 Turn left onto Jalan Pengaturcara. 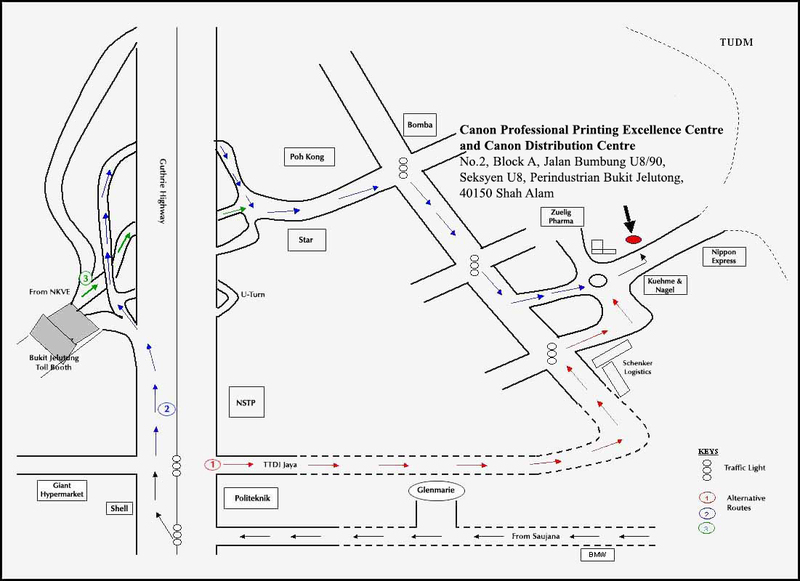 At the roundabout, take the 1st exit onto Jalan Pengaturcara U1/51A. Then continue onto Jalan Pengaturcara U1/51B, take the first exit on the right then first left at the security guard house. Drive straight ahead until Canon Tower (6th tower from the security guard house). Drop off allowance for printers (maximum 10 minutes). To park your car, drive straight ahead until the last tower. Drive down the ramp and make a U-turn at the mini roundabout. Proceed either to G or B1 for visitors; car park. Drive pass Shell petrol station and take the immediate left up the ramp after the mini round about. Drive pass the security guard house on your left. Go straight ahead make a U-turn at Tower 9 (last office block). 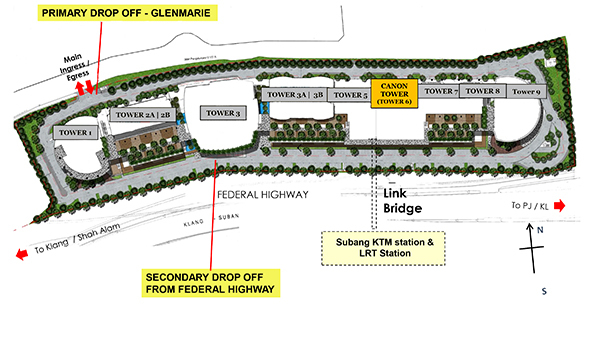 Drop off is allowed at the front of Canon Tower (6th tower from the security guard house, 3rd block after the U-turn).